Memories are great teachers, in part because they teach us so much about life, and much more about ourselves. There is institutional memory, and then there are the memories that institutions donate to the enhancement and positive growth of our lives. And there are memories we love, the memories we love to relive; and then there are the memories we try to resist remembering. Fortunately, good memories, including those that are more than 50 years old are not easily forgotten (Or how could we possibly cope with the many accumulated disappointments of life!). I think the purpose of having good-memories is that they remind us that there are many wonderful things in a world, a world that is so saturated with so many not-so wonderful things. 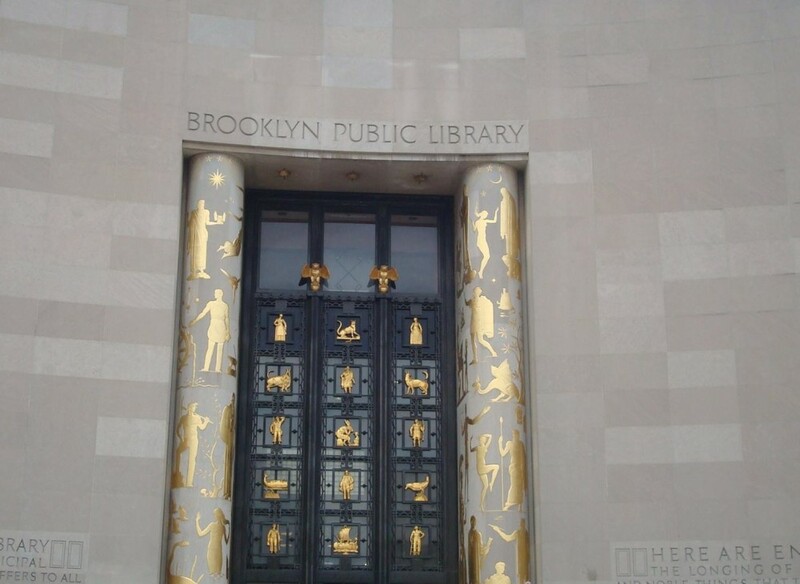 One of those wonderful things I experienced in my life was my childhood-young adult memory and experience at the Brooklyn Public Library (BPL). And even now, in the present “mellowed” stages of my life, I still feel a sense of warmth, excitement and belonging, whenever I walk into a public library anywhere in the world. That feeling is not accidental, and in fact was created many years ago in the heart of a curious about everything kid, living in the heart of Brooklyn. The BPL was an important part of the world for a Black boy who was a good reader, a lover of books, and blessed with an inquisitive mind. It was a sort of sanctuary for that young Blackman who was desperately seeking a safe space to read, to engage safely in smartness, to discover and to protect himself against a very confusing, conflicting and sometimes cruel world around him. Indeed the BPL was the one place he knew and understood well; and one of the few places in his world that knew, understood and treated him well. It starts with a central currency of libraries—books. It was all about books and the power they held between their covers. The power books projected onto the mind and soul of a young Black child growing up in 1950’s America. For the young me, books (including large numbers of comic books purchased by way of working a newspaper delivery route) were considered sacred servants of the good and best life. I (unfortunately and not proudly, still to this day) can’t help but divide the world between people who read books, and people who don’t! Back then, however I could not imagine a world without books; and the young me wondered why so many of my peers would only reluctantly read a book when it was assigned to them by a school teacher. As for me, I was a four-seasonal reader; I never stopped! Back then I was unaware of the concept of “reading for pleasure”; and yet I knew and felt so well, the overwhelming pleasurable feeling of holding a book in my hands, and allowing the writer’s words to wash over my mind and spirit; that restful place where the reflective and meditative meet. Those moments spent reading were moments away from everything “noisy” in the world; there existed only the book and the reader. And whatever was troubling, whatever was missing; all of imagined or real, too much, or too little of things in his life, all went silent, in those immersed reading moments. And the BPL was a place that honored serious readers; one was not counted as “strange” for wanting to just sit and read; not only read to study, to do homework, or to research a science fair topic; to be able to just read fiction or poetry out of the pure joy of reading! 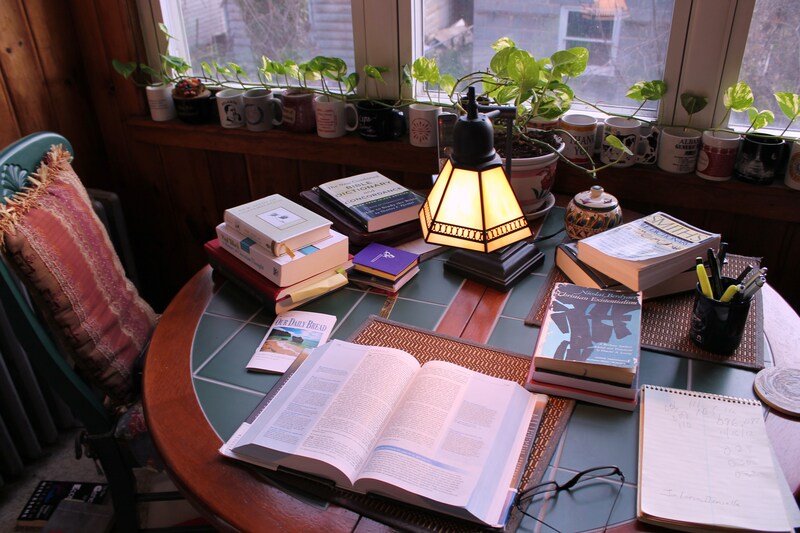 Only the members of my “biblio-introspective tribe” (a mixture of mild to medium introversion + the love of reading) will truly understand this tremendous desire and dedicated enthusiasm, to be able to sit quietly and read. As a young child two of the important goals I had in life was to go to college; that presumably would lead to a good job; so that one day I could have a bathroom I did not have to share. And second, to have a quiet house to read in peace whenever I wanted (including if I wish, reading in the bathroom!). The BPL’s bathrooms were public, but it did satisfy the second goal, and served as a peaceful and dedicated place to read books, in peace. Buying Books in the 1950’s presented a major logistical and financial burden for many working class Brooklyn families; these were struggling practical people who had to very often focus on doing and acquiring the essentials of “just basic life”. It’s not that these parents did not understand the power of books; for in their heart of hopes, they saw education in general, and reading in particular as the only path for their children to achieve “generational improvement”. As a first generation American I was constantly reminded that: “Everyone breathing in this house must work, and your job is school!” These brave and courageous people could offer love, encouragement, a strong moral and ethical foundation, but there would be no great financial legacy or inheritance windfall to be left to their children; education was the only viable path to success. In fact, these “hard-working-classy” folks probably appreciated the power of books and learning more than those wealthy parents who could afford to buy books, it’s just that they were forced to make very difficult survival time and money choices. And so having a public partnership with the BPL, having a free place that could provide their children with the tools to grow their intellects, was for them, one of the greatest things in the world! 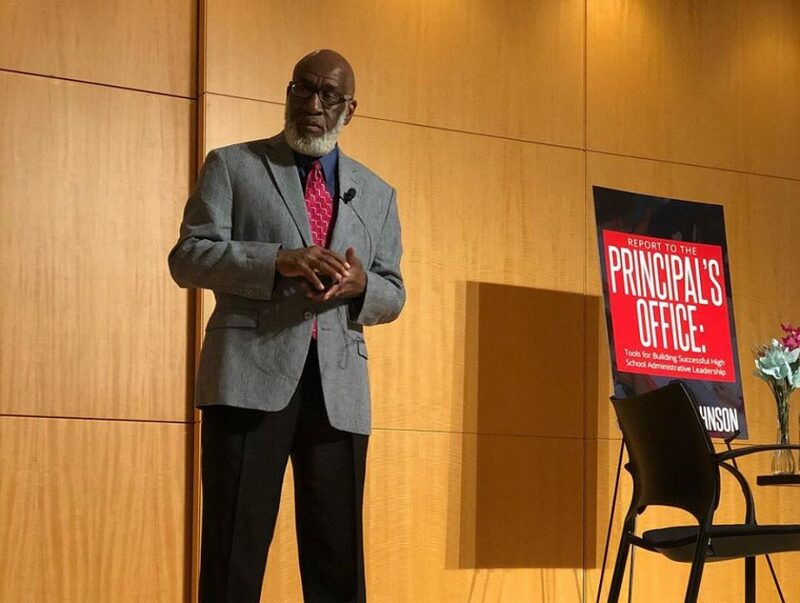 As a former principal and superintendent, I have heard a lot of complaints about “government” in my day; but I have never heard a parent speak ill of the public library system. This was also true back in my childhood days; for when I announced on a non-school day that: “I am going to the library!” There was never any words of discouragement; it was like announcing I was going to church, Boy Scout meeting or church acolyte rehearsal. And having to report as a young child to the library every day after school (until my mother came home from work); probably provided her with a sense of comfort; and also provided her with a free source of after-school childcare that was both safe and educational. The BPL knowingly or unknowingly latched on to us “latch-key” kids, and held us safe from the ever potentially dangerous Brooklyn streets. But for the “kid-me”, the BPL was much, much more. For it represented one of the few places, outside of school and church where I could fully be myself; that self who was always asking the why, where, when, and for what reasons questions. If you were a child with a lot of questions, then the BPL was your proverbial promise and deliver land. And even when you had one of those questions, that in those days were forbidden to ask like: “The ‘real’ age of the planet”; or, “How could all of the dinosaurs fit in the ark (and how could they be in the same time period as humans)?” You knew that the Librarian was the one adult who would not “give you up” to other adults for pursuing a controversial line of inquiry. The BPL was and still is, one of our educational intuitions that seeks to close the: right to imagination gap that separates the children of wealth and entitlement, from their darker and/or poorer age mates. If a child can get inside the walls of a library, anything imaginable and life changing can happen; and anything wonderful could and did happen to me. For sure the BPL was a place of sanctuary and security; a place where one could let the imagination soar; in the same way that my kites soared in the sky above the green grass of Prospect Park. In those BPL moments, one was free to forget about the random violence that plagued our Crown Heights neighborhood, a violence that always threatened to insert itself uninvited into our lives. You see, it seemed that no self-respecting “hoodlum” or gang member could afford to be seen inside the walls of a library. I attended school with many of them at P.S. 9 and JHS 294, and so I knew that reading, to say the least, was not one of their most cherished hobbies! Now there were of course the reality of the many BPL pretty girls (I never told my mother about that part of my motivation!) Their presence attracted the interest of both the serious bibliophiles like me, as well as the pretenders (did they even have library cards?) But Mr. Blaze (who I remember looked like a giant to my adolescent eyes) and his security officers were extremely adept at detecting and discouraging the: “non-book-loving-unbelievers” from just hanging out and causing problems; and so these interlopers eventually gave up, and left the girls to their reading, home work and those of us, who out of the “best and purest” motives, offered any study assistance that the young ladies required. Alas, (note to guys) smartness has its benefits; for a good way to a lady’s heart, is the ability to help her with her homework! And so the BPL was a gathering place of that family-hood of children of color who were scholar-initiates, those who were serious about learning and school. It was in the BPL that we could recognize and reinforce our understanding of who we were in the present, and who, and what we wanted to be in the future. There was no shame, or fear in being smart in the library! The BPL was an institutional model and vehicle of what we could, hope to be personally; if (unbeknownst to us) we could only survive into adulthood. And then there was the wonderful librarians (and I will always love those who are called to be librarians!) who never seem to tire from feeding our inquisitive natures, they never asked you why you ask so many questions, or why do you need to know about this or that seemingly (to those disinterested in the pure joys of learning) obscure topic. The librarians were not part of the citizenry that was uninitiated in the arts of ideas speculation; or those who did not understand that acquiring knowledge, and the search for knowledge were equally pleasurable. Librarians are a special wonderful breed of humans, blessed with patience, perseverance, and the ability to be interested in whatever interest you. They were never judgmental concerning the objective or purpose of my inquiry. Neither I, nor the topic were ever considered “weird”. Our thirst for knowledge was never questioned. Our motivations to investigate and know something, simply because it was in the world waiting to be known, was sufficient reason enough. For the BPL librarians, all questions were important to them, because those questions were important to the person asking those questions. And in that sense all questions, and all questioners were equal! And speaking of equality I don’t ever remember a Librarian treating me with less effort and concern because of my color, my economic status, my living in a (now illegal) “cold-water flat”, or the fact that I showed up each day to the library without a parent. And they had to notice that a large group of us religiously left around 6: PM. One of the best things an economically disenfranchised child can experience, is to have the experience of being in a non-condemnation-judgmental childhood space; a place where you don’t need to explain, make excuses, or make up stories about the things, real or perceived, missing from your life; a place to just be an unconditional child. I could always approach the librarians desk without fear of rejection; knowing I could ask about some topic that caught my attention, by way of a random observation, a word heard in a sermon, a teacher reference, or a captured word or phrase overheard from an adult conversation (in those days a child could not be in the middle of “adult talk”, and so you had to use stealth to hear what was being said!) Perhaps my research motivation was produced by some reading encounter in a book, magazine or comic book; something seen on TV; Some item or phenomena that caught my attention at the Brooklyn Zoo, The Brooklyn Children’s Museum, Brooklyn Botanical Gardens, or the Brooklyn Museum. Or, some practical problem for which I was seeking a solution like: “Building a model train system” (for the model train system I was building in the basement); “WW 11 war planes” (informed and supplemented my model plane building hobby); “The first stamps in history” (in response to my stamp collecting merit badge work); “how to build a box kite” (a dedicated kite flyer was I); or “How to build a model boat” (for my naval work at the Prospect Park (pond) Ocean”); “baseball statistics” (to offer “technical support” to my baseball card collecting and trading activity); “Ant Farming” (for my ever challenging ant farm; and in response to my mother’s warning: “Michael, if I see one ant crawling around my house…. !”); “science projects” (for my home science kit work); “rocks” (for my self-developed Prospect Park rock collection project); “rocketry and space travel” (I was a science fiction fan, and a sputnik child!) No topic was too big or too small. I imagined back then, that somewhere in “librarian school”, librarians learned to treat all topics as serious; and to treat all of us “children researchers” with the same amount of solemnity for which we held our “needed to know” questions. Librarians seem to act in the capacity of knowledge-gate openers; rather than shutting the doors of inquisitiveness; they happily and gracefully expanded the perimeters of the art of searching. You could not ware them down with a weekly research project; or reach the end of their search knowledge. And the most amazing thing about librarians is how they fed off of my curiosity: “Well, since you are interested in X, have you also considered this book on Y; or even this related book on Z?” For a kid with a big imagination, big dreams, and very little financial resources, there are no better words of encouragement in the world! The BPL was in the 1950’s perhaps the most important learning source for me outside of school; mainly because the knowledge and information it contained seemed to be both accessible and infinite. The library also empowered the “learner” to be both teacher and student; it achieved this through its organizational culture of an unpressured-self-directed, and yet smartly guided learning experience (I later would come to know this as a professional educator by its official title: “informal learning or education” and “scaffolding”). And yet the library seemed to my child eyes to be a very formal and well organized place; all books were in a very specific designated place; and there was clearly a great deal of effort given to organizing those books by age-grade levels, subjects, titles, topics, genres, authors, etc. And it is amazing to note, that in the BPL, even the sound was organized. The sound level differs greatly as you move from the children’s, to the young adults, and then to the adult sections of a library. For those of us who have spent a great deal of time in libraries, we can appreciate its very nuanced “formal” and well organized structure, that offers the best opportunity to search, find and experience information and knowledge. Those of us who love and cherish them, see libraries as very rich, exciting, vibrant and dynamic places; not just a “quiet” building housing books and documents. A wonderful rite of passage for me was when I mastered the “card catalog”. My personal brain “search engine” education was a combined effort between my school librarians (Yes, modern-day “budget cutters”, we had an important and indispensable class called “library” in school. And yes, we were actually taught how to “fall in love with books”, do research, and how to use the “Dewey Decimal” system!) and the librarians at the BPL. Once I mastered the card catalogue; I was elevated to the unofficial status of master library user; which meant I now only needed the librarian for the more complex and in-depth topics I had to research for my middle-high school essays and term papers (But still very much needed them!). That master library user status opened me up to a new areas of the BPL (like the map section, audio-music, microfilm, or the archival collections); and of course the coveted reference books behind the librarians desk! Access to reference books designated one as a serious (at least in our eyes) library user; so serious was this recognized sense of trust and honor, that one had to surrender a library card or bus pass in order to check the reference book out (to read it in the library); and only when you completed your reading and returned the reference book, could you retrieve your I.D. document. As I took up residence in the young adult section and relied more and more on the use of reference books; I also got to know the librarians in a new and better way; and they in turn became better and better in anticipating the direction of my many projects, and the level of reference book support that I could effectively handle. Moving from a child to a young adult, to the adult section in the same library building is like growing up in a family (minus the drama!). As a young adult section resident I had a sense of where I wanted to go, even as I was not exactly sure how to get there. My questions were more focused, I was no longer “groping” for a path to the answer to my many inquiries. Indeed, the librarians and I, seem to have entered into a type of research-learning partnership. And as I moved from elementary school to high school; my sense of who I was at the Grand Army Plaza branch, and what that library did to and for me also grew. Unaware to me at the time, was the fact that I literally grew up, emotionally and educationally in the same library branch building. And as with all of these types of developmental psychological movements; I can’t seem to remember the day I “moved” to a higher section; it just happen naturally. Alas there were no promotion ceremonies, or “graduations” to a new section of the library. I only remember as a high school student walking through the young adult and children’s sections on the way home one day, and wondering: “My goodness, did I ever look and act like that?” (If a librarian could have heard my thoughts, they probably would have said: “Yes!”) And yet, even today, I still think about how over so many years, I moved effortlessly, uneventfully and seamlessly from the young children’s section to the adult section. I was in essence the same person, but in reality as I moved from section to section, I was absolutely not the same person; each section challenged and changed me, and built on, and nurtured my intellectual and spiritual strengths gained from the previous section. The BPL was a setting to stimulate the imagination; a safe place to be smart, the BPL gave me the ability to travel into the inner space of the microscopic universe, and out to the stellar universe of outer space, visit nations and cultures around the planet, travel back and forward in time, dialogue with famous people from history; visit animals like dinosaurs and whales in their natural habitats; and listen to the magical, mystery and science-fiction worlds created in the minds of authors. And most important I learned that there was a very large world (a world full of different people and places) that existed outside of my Brooklyn neighborhood. The financial, social and racial limitations that were placed on my life were all neutralized in that sacred Grand Army Plaza Space. Its walled canyons of books served as a learning miracle, the parting of a sea of ignorance that led me to freely know the world in an amazingly new and different way. The BPL changed my life forever, it helped me to fall deeper in love with books, to love learning, and those feelings would eventually lead me to love and pursue the profession of education. I was fortunate to grow up a few blocks from the BPL; but a child’s access to the wonderful world of libraries should not depend on the decision of where their parents choose to live. I also realize now that I was fortunate to live in the same, (walking distance to the BPL) place on Washington Ave. & St. Marks Pl. from elementary to high school. Ideally, I would love for every child to enjoy my experience, and to be able to walk to a public library. I learned as an adult that It meant so much to my financially strapped family, that I could be freely “baby-sat” in a place every day after school, where I would be both safe, do my homework, and be intellectually stimulated. There we all were at the BPL, with our house-keys attached to lanyard and secured around our necks, waiting for working class parents to get home; I never felt poor or deprived for that experience; in fact, I felt I was the luckiest kid in the world; because I had the best “baby-sitter” in the world, and the best place to sit in the world! There are many ways to measure any society; one important criteria for me is the willingness of that society to invest in its public library system (when I travel to other places in the world, it’s one of the first things I look for). The good society will see this investment in public libraries, not as a burden, but rather as a blessing and promise to the next generation. To understand both the symbolic and concrete meaning of public libraries; is to understand the need for the powerful democratization and equal distribution of knowledge, the fair and non-discriminatory access to information and learning. But society must also see the library’s special and specific purpose for children. Those junior members of our species, who could find emotional healing and intellectual reassurance inside of the walls of a library. A place where children can hope and find hope by becoming smarter, and better skilled at approaching the world as: creators, inventors, innovators, or just producers of feelings for tolerance, kindness and compassion. Any society must come to understand and appreciate how such a place as a library can save, secure, inspire and nourish a Black kid from Crown Heights, looking for a place to belong, and to become something of positive value to the world. I cannot separate who I am today, and what I have accomplished to date from my BPL experience. I have at the very least tried very hard to give back to the world; some portion of the good that was given to me as a child; and much of that good I gained from my experience at the BPL. We very much need institutions that will inspire young people to become servant-leaders and forces for good in the world. The more time I spent reading and learning in the BPL, the more I came to respect and revere the complex and diverse wisdom and knowledge that exist in the world; at each sitting my world became less about my personal world, my block, my neighborhood, my nation; as I grew an intelligence about the world and the universe in, and outside of Crown Heights Brooklyn. And once you travel to those far away destinations, or inward to the unexplored destinations inside of yourself, you can never quite be the same person, or see things the same way. It’s the opening up of the intellectually unrestricted life; the imagining of the unimagined life, where no one can ever determine the barriers of your promise. Each day I sat in the library, I learned that I was destined to change something, and some people in the future, starting with myself! The adults of any society have a collective sacred obligation, to physically and psychologically protect its children from harm; to empower its young to enhance and enrich the progress that has been made by the previous generation. Libraries like the BPL then, are the best expressions of that important assignment. Libraries capture, maintain, protect and distribute knowledge; and in that sense they represent one of the best, and most important work any society can undertake. Art, the Humanities and STEM need each other, and as an educated society we need all three of them. STEM vs. Art and the Humanities? What a false, unimaginative and short-sighted choice. And there is no accident that the charge is being led by southern Republican governors; whose political success and survival, for a large part, is dependent on the maintenance of a large unenlightened, aesthetically underexposed and intellectually challenged voting bloc. These governors should at least declare a conflict of interest here; as the “dangerous” exposure to: poetry, philosophy, history, art, music and dance may actually cause their constituents to seriously think about the quality of their lives under right-wing rule. These terrible presentations of educational “trade-offs” held by some politicians can only be defined as anti-education, anti-learning, and ultimately anti-human development. This kind of bad policy thinking is the byproduct of public education policy maker’s endless search for a quick and cheap fix to problems they themselves have created. These bad ideas always end up doing more to deform schooling rather than to productively reform it. STEM, Art and the Humanities compliment, and enrich each other; and together they represent the natural components of what should be recognized and championed as: An educated person.